Tahiti (Moorea and Bora Bora) [January 2014]. 9 fabulous days. 4 days in Moorea at the Sofitel Ia Ora Beach Resort and 5 days in Bora Bora at the Intercontinental Thallaso Resort and Spa. Sam and I had quite the hectic engagement year (as do most couples), but to top it off we also did a cross-country move from San Francisco to Chicago. Needless to say we decided to postpone our honeymoon until after our June, 22nd wedding. Because Chicago is so gorgeous during the summer, we decided to schedule our trip for the dead of winter to escape the cold. 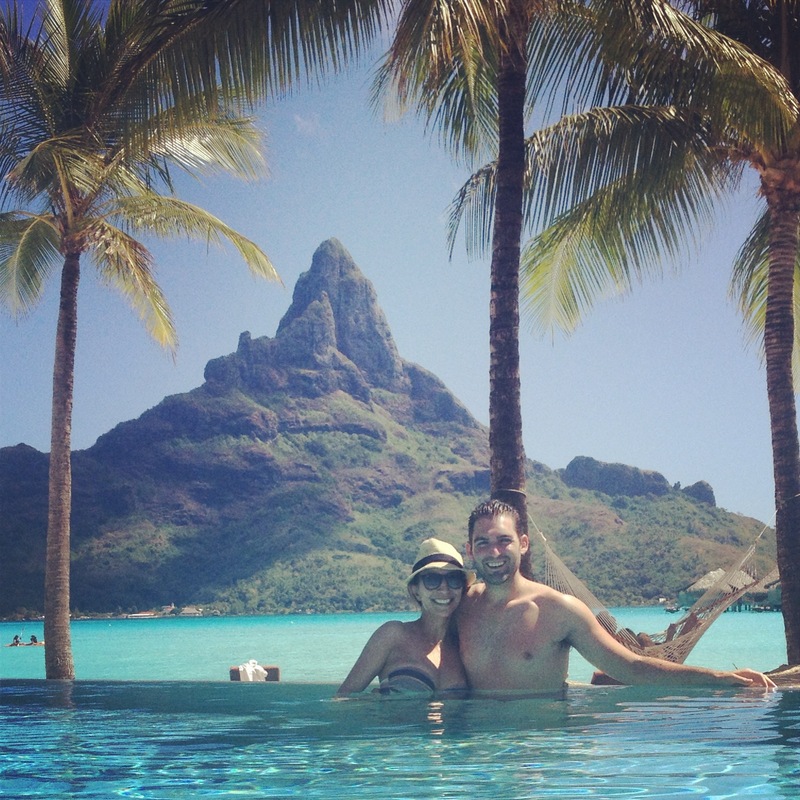 Our ultimate goal was to have the most relaxing honeymoon in the most beautiful place we could find. Bora Bora is obviously one of the first destinations that came to mind. There were so many incredible meals, excursions, and hotels but truly the best part was the location. The entire trip we kept looking at each other with that “is this real life?” look because it honestly felt like you were living a dream. At one point we met a cute Australian couple who was there with their 2 daughters (I suppose this rules out our rationale that Bora Bora is not a family destination). They had traveled to nearly every tropical destination in the world: Fiji, Maldives, Seychelle Islands, Bali, The Caribbean, Hawaii, Australia, and New Zealand. You name, it they had been there. We asked them which one was their favorite and without hesitation all four of them said Bora Bora. 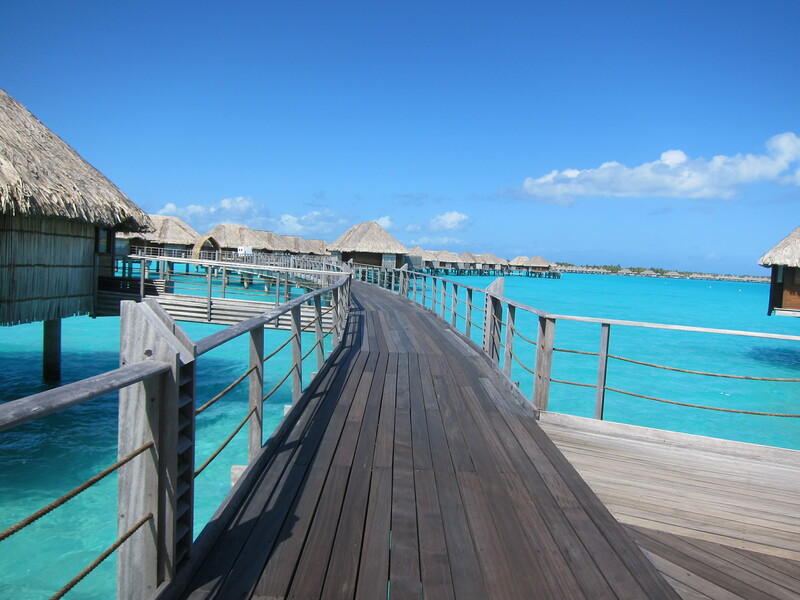 Between the crystal blue water, the amazing reef, and the over-water bungalows, Bora Bora took the cake for them. 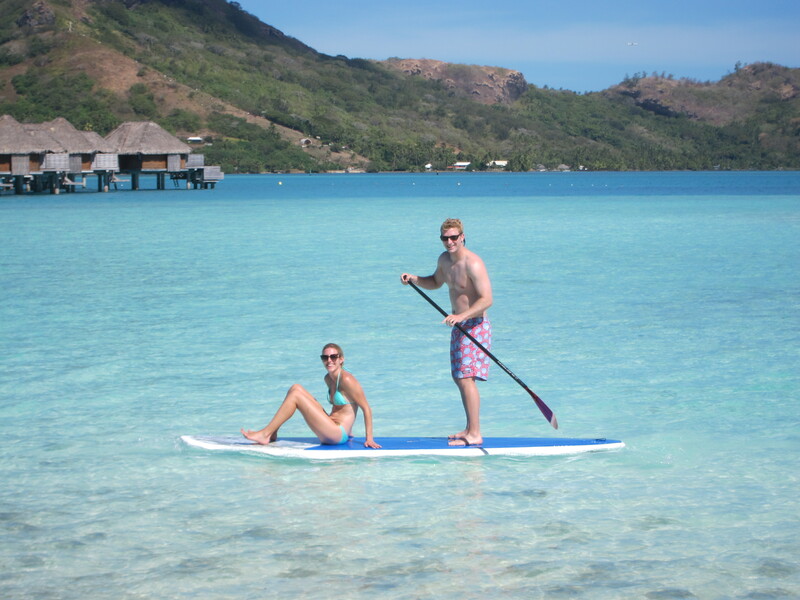 Perhaps they were just appeasing us or high on Bora Bora’s beauty, but regardless it made us feel great about our decision! Without a doubt we would not have planned on going during their rainy season (which is December – March). As much as we wanted to coordinate our trip around escaping our first Midwest winter, there is nothing as disappointing as rain in paradise (especially when you’re traveling that far). 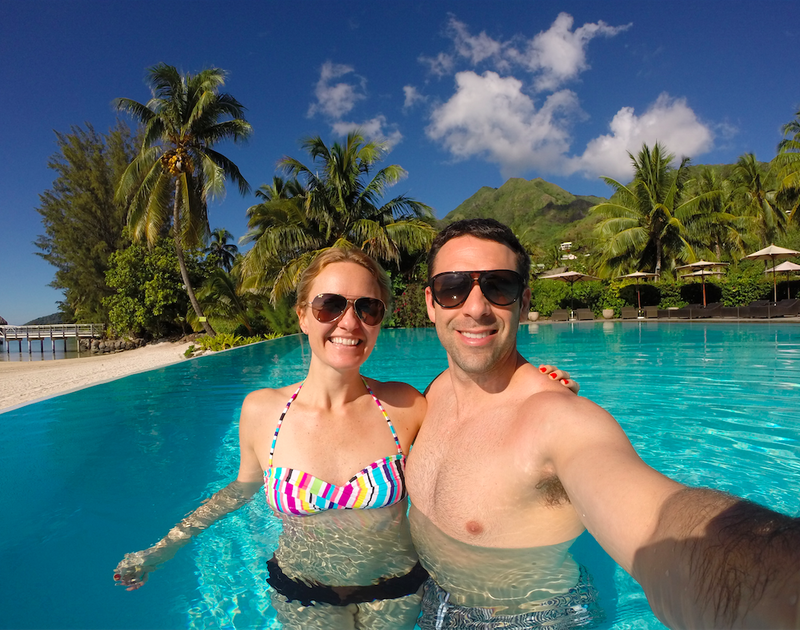 We were fortunate that our first 4 days in Moorea and the first day in Bora Bora were absolutely beautiful. The last 4 days in Bora Bora rained for the majority of the time. As with most tropical locations, it was still warm so it didn’t keep us from doing what we would have normally done, but if we had known we definitely would have booked prior to, or after, the rainy season. We started planning shortly after our wedding, so about five months’ worth. We used a travel agency, Pacific for Less who literally did everything for us so the planning process was really easy. We booked our flights from Chicago to LA, and they took care of the rest. Like I said, Sam and I are not planners when it comes to travel, so besides physically getting ourselves to our honeymoon (or at least hiring someone to get us there), we only planned one dinner reservation at Villa Mahana and a snorkeling excursion with the Sharks and Stingrays (see below). Everything else we scheduled once we got there. I highly recommend dinner at Villa Mahana! It is the exclusive restaurant on the island, run by two French guys. There are only 7 tables which fill up fast so you’ll want to be sure to book your reservation in advance and ask for the VIP table that overlooks the property. 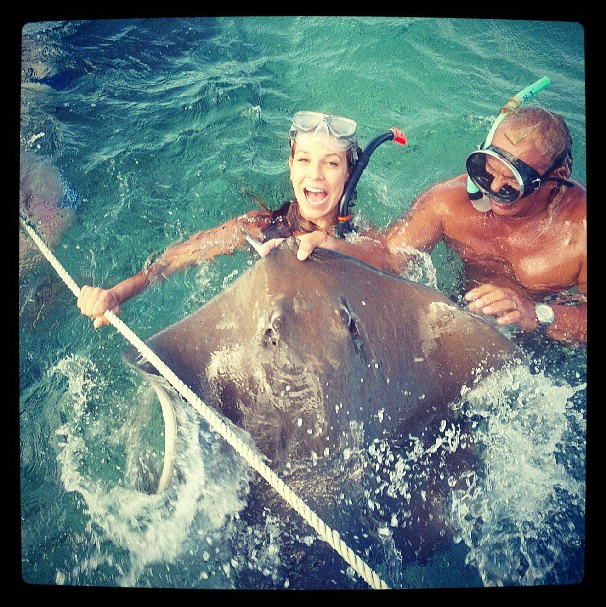 Also the Shark, Manta Ray and Sting Ray snorkeling excursion is a must do. I had been on several snorkeling excursions before but none quite like this one. Again because I’m not a planner, I did not fully realize what we were getting ourselves into. Our first stop was the Manta Rays. Unfortunately the water was murky and we couldn’t see them so we moved onto the next stop, which was the Reef Sharks and Sting Rays. When we got there, there were hundreds of Sharks and Sting Rays circling the boat. Somewhere along the line I had convinced myself that the Shark part of the excursion was just us viewing them from the boat. Oh no! You can imagine the shock that came over me when they told us we were jumping in. I think the fact that I didn’t have time to think about it was a good thing and with a little encouragement from my husband (and the fact that an 8 year old jumped in first) I took the plunge. I can confidently say it was one of the most exhilarating things I have ever done and when it came time to jump in with the Lemon Sharks (p.s. they were 3x the size of the Reef Sharks), I didn’t bat an eye. 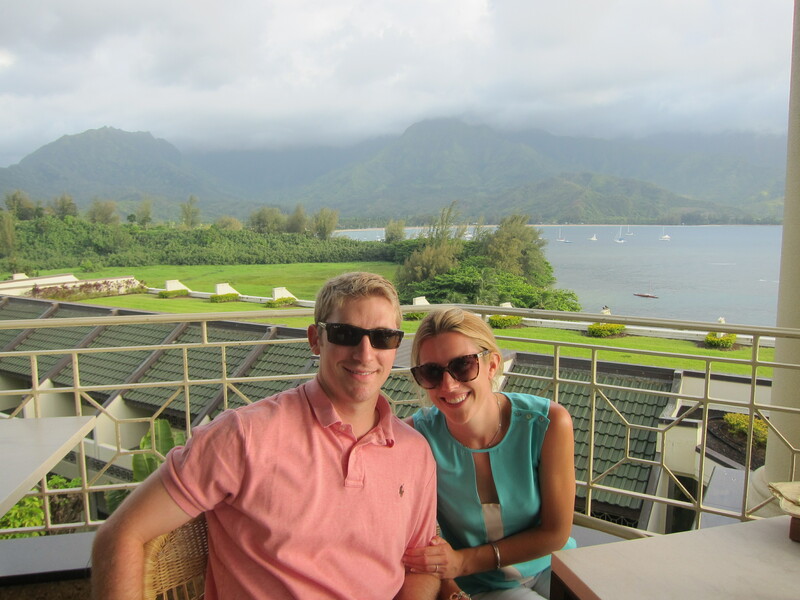 We went to Kauai, Moorea, and Bora Bora in July  (immediately after our wedding). There is only one flight a week from Hawaii to Tahiti, so you have to plan around that. My husband loves activities! 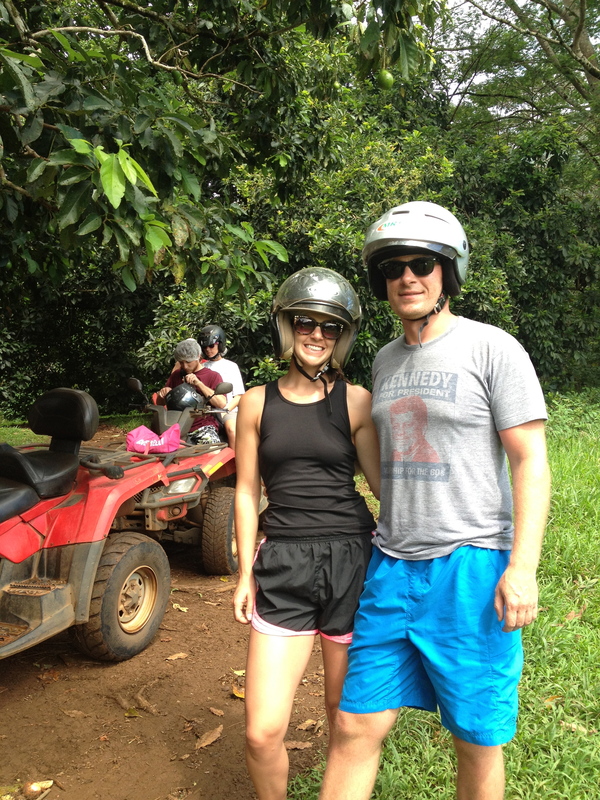 We wanted to do a mix of adventure (Kauai) and relaxation (Tahiti). Bora Bora! We literally wanted to move to the island! We stayed at the Four Seasons and took advantage of every second there. 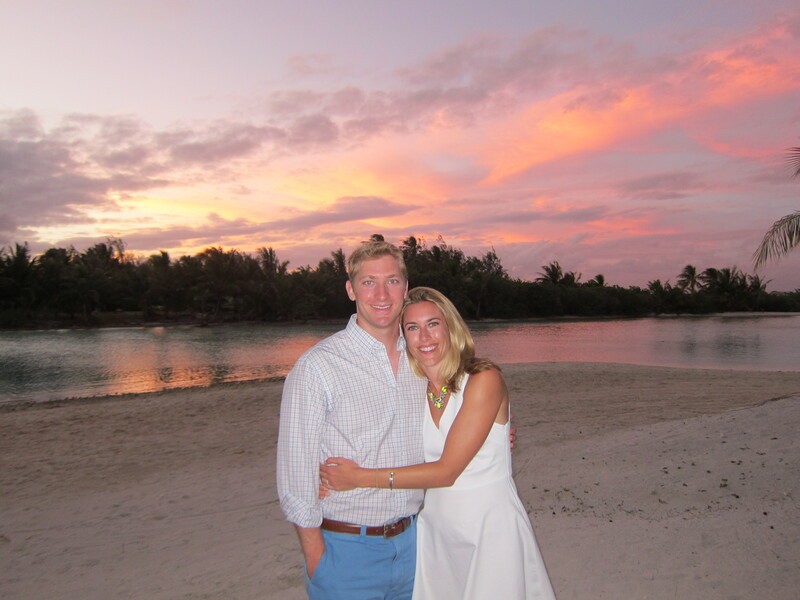 Favorite parts: the breakfast buffet, daily happy hour (which you can enjoy while watching the sunset), paddle boarding around the hotel, a 3 hour snorkel tour we did with Christof, and dinner at La Villa Mahana. Pretty much everything! 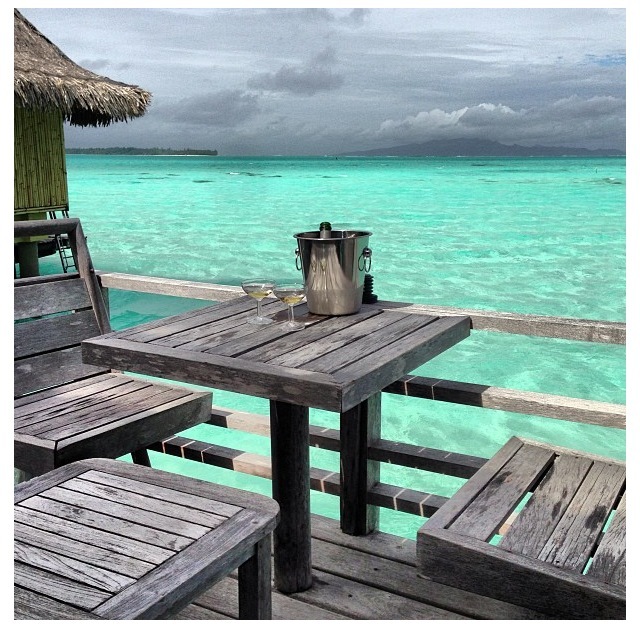 We would skip Moorea and head straight to Bora Bora. Not because we didn’t enjoy it, but because it was a pain traveling there for just one night. 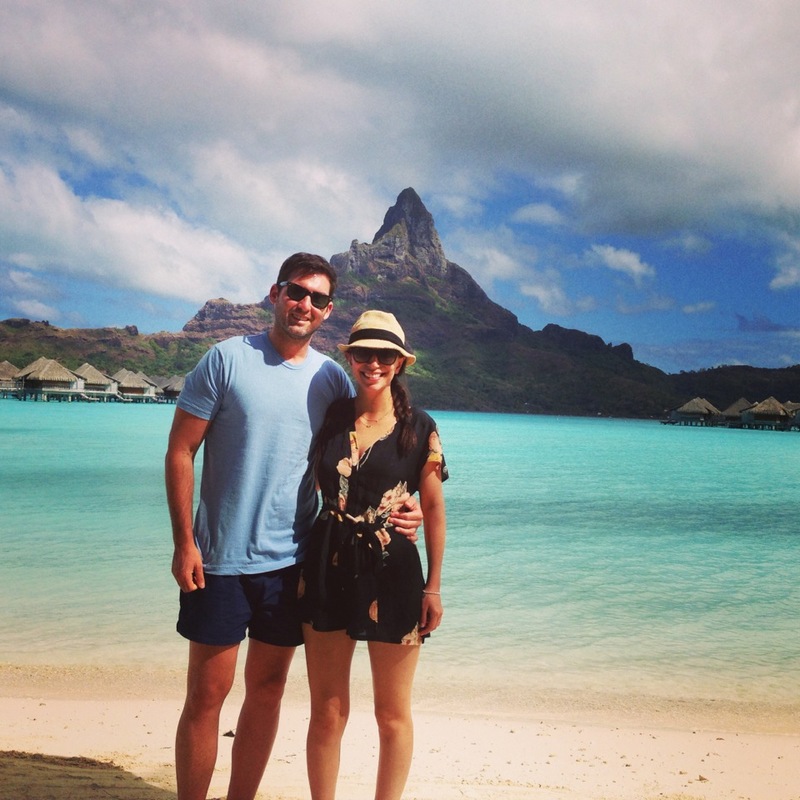 We went to French Polynesia at the end of July 2013. 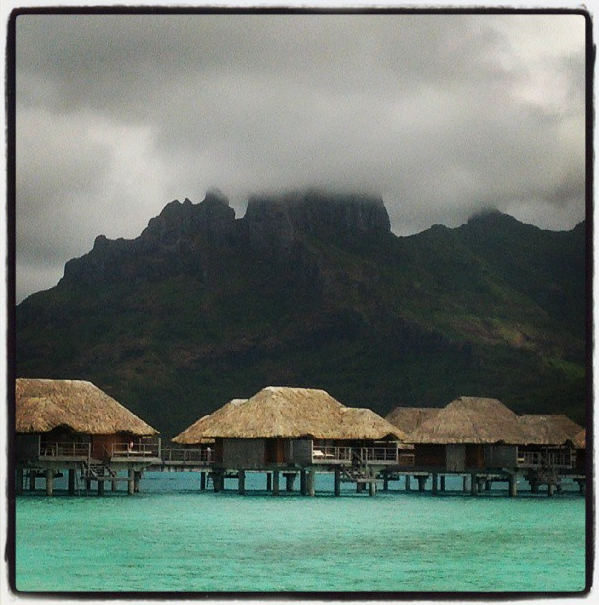 We stayed on Moorea and Bora Bora. 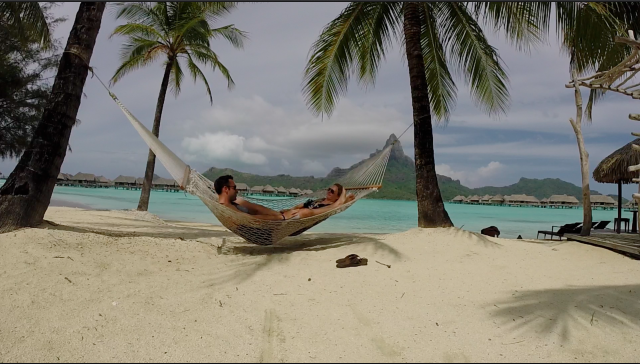 Our trip was ten days and we split our time evenly between Moorea and Bora Bora. We knew we wanted to go to more of an island/tropical destination since most of our prior big trips together were to Europe. Plus, like most honeymooners, we knew we wouldn’t be as up for sight-seeing after all the wedding festivities. We had a hard time committing to a destination for months and really waffled between French Polynesia, Thailand, and Bali. 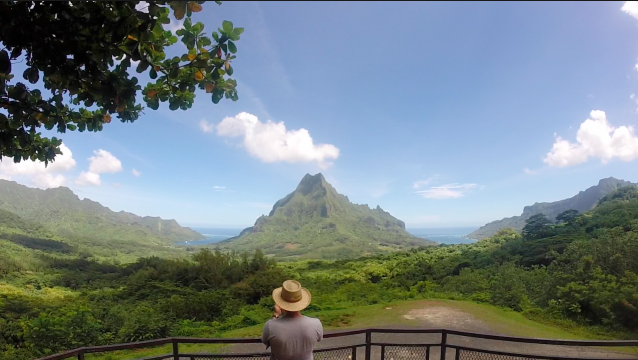 In the end, French Polynesia seemed like the best choice because of the season and because it is just a short eight-hour flight from Los Angeles. Also, all of our friends who had been before would not stop raving about it. Being in such an overwhelmingly beautiful environment. 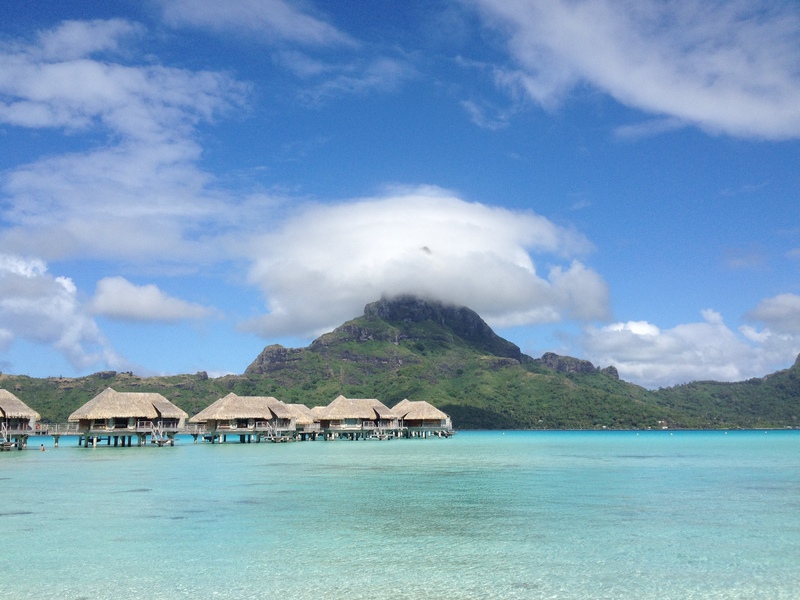 Both islands were visually stunning, but when we got to Bora Bora, we just felt like we were on another planet. My husband was a little apprehensive about going on a trip where you primarily lay out on a beach all day, but even he had a very hard time tearing himself away when we had to come home. Also, we were warned ahead of time that we might not find the best food on the islands and that everything would be very overpriced. Generally, this is a pretty accurate statement. But, we were able to find some gems on both islands. 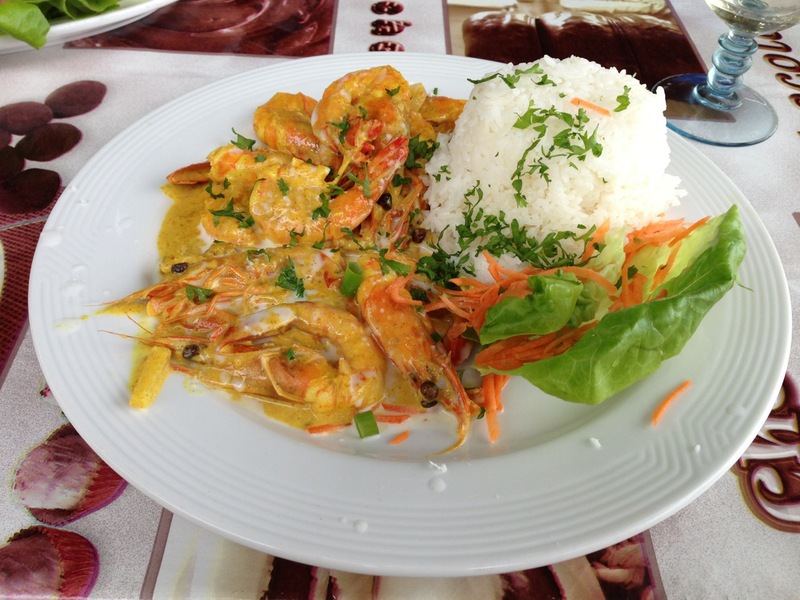 On Moorea, we became obsessed with a lunch spot called Snack Mahana–they served some of the best seafood we had on the entire trip. On Bora Bora, we had some great food (and the friendliest, most hilarious server) at Restaurant Fare Manuia. Tahiti, October 2012. 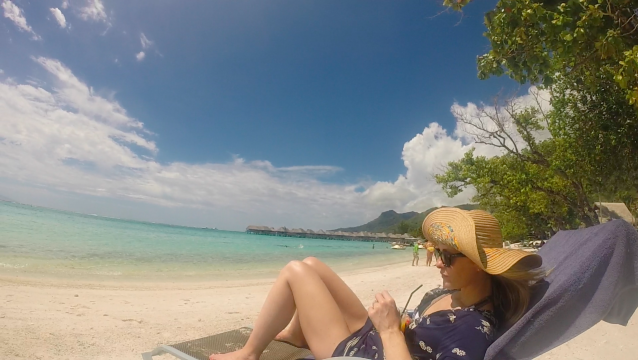 One week in Moorea, one week in Bora Bora. We had a really hard time deciding. We were torn between a backpackery type trip and going somewhere cultural versus somewhere where we could just plop on a beach and do nothing. We debated Tahiti, Fiji, Madagascar, Philippines and all over Europe (especially Greece and Italy). But ultimately, the weather decided our location. 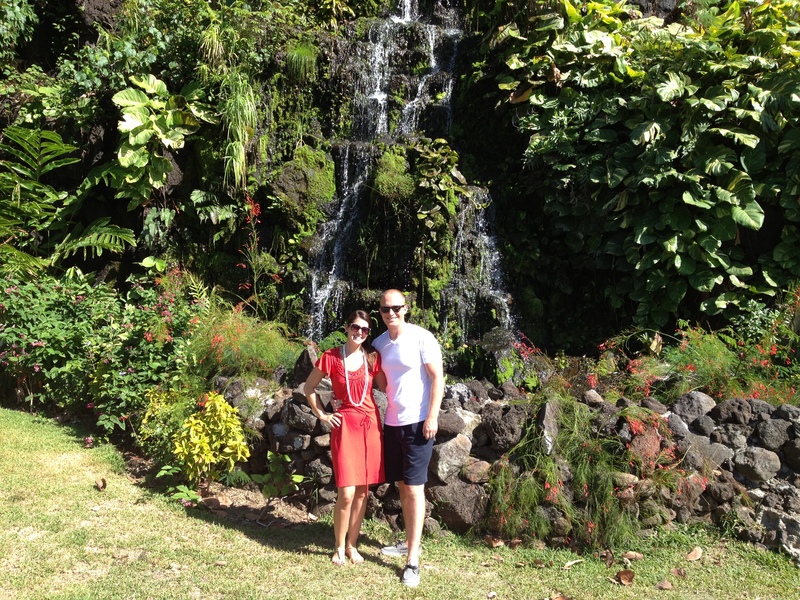 Getting married in October didn’t leave us with very many warm weather options (unless we wanted to risk typhoons). I had been to Greece and had always pictured honeymooning there (beautiful beaches, culture, activities etc.). And Brandon had been to Italy and really wanted to go there (wine tasting, site seeing etc.). But the weather in both places was going to be cold. 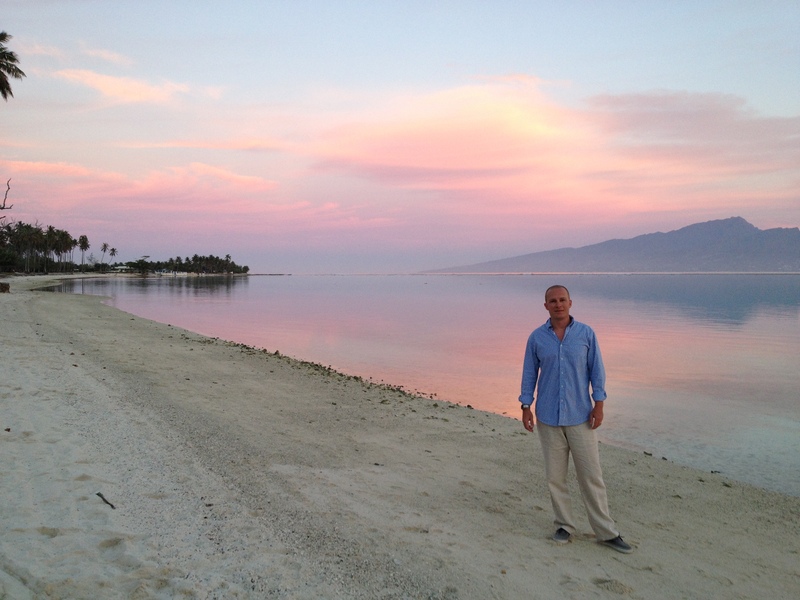 Madagascar was REALLY far and there were possible issues with weather, and in the Philippines we risked typhoons. When it finally came down to it, we realized that all we wanted was warm weather and to sit on the beach and drink rum. 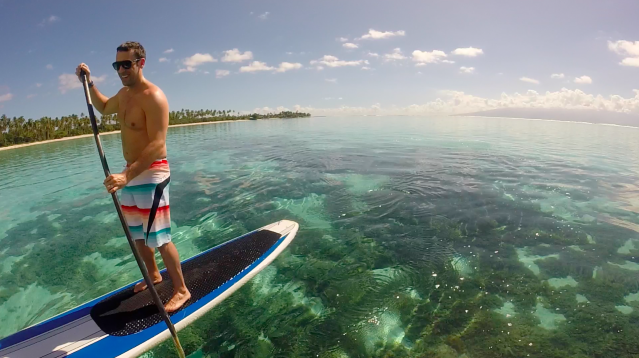 Tahiti was a sure-thing for the nice weather and the decision was made. Sitting on the beach, massages, the blue water, drinking rum, and having nothing to do all day, for days on end. 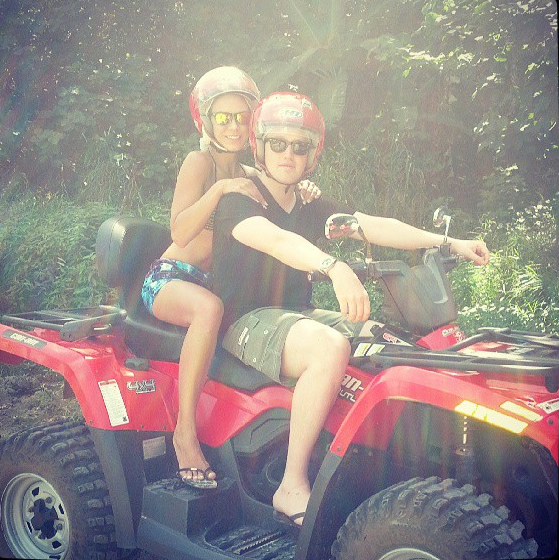 We did a few excursions (jet skiing, ATV tour, day trip on a boat). But mostly, all we did was read books and relax on the beach. As perfect as it was, there were a few things that we could have done differently. We would have brought a few more liters of rum (because you really can’t have too much rum when you are living in paradise), and some more snacks to save money. As amazing as our hotels were–and they were truly amazing–we wish we saw a little more of the islands. Moorea is absolutely beautiful; it is lush, mountainous, and has a local feel that Bora Bora doesn’t have. It would have been fun to spend a little more time seeing the island. 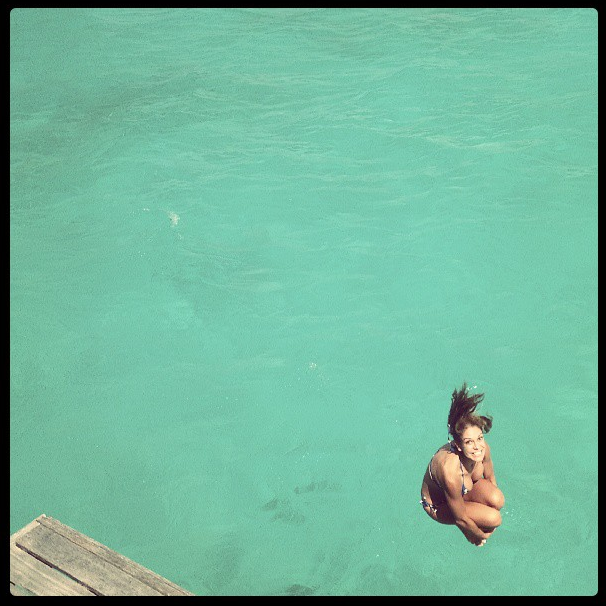 That said, Bora Bora is a wonderful place, and there is nothing you could do to improve it. Finally, a recommendation to all you book lovers out there, go light. Brandon made the mistake of reading Atlas Shrugged during our honeymoon, and as much as he loved the book, it did not make for the best beach banter. Bring novels and magazines that will not lead you to contemplate the role of selfishness and individuality in a society that is on the verge of economic collapse. We hired a travel agent, which I would 100% recommend (depending on where you are going). It was so nice not having to spend time figuring out where to go, and how to get to each place etc. Because we had a travel agent, we didn’t have to do much planning ourselves. While we debated the benefits of more of an “adventure” vacation, we speculated (correctly) that by the time the wedding was done, we’d want a honeymoon that allowed us to relax and unwind. We liked the fact that there were still plenty of options to be active (hiking, all types of water sports, etc. ), but we would also have the ability to do nothing on a beach. There were so many it’s hard to pick! 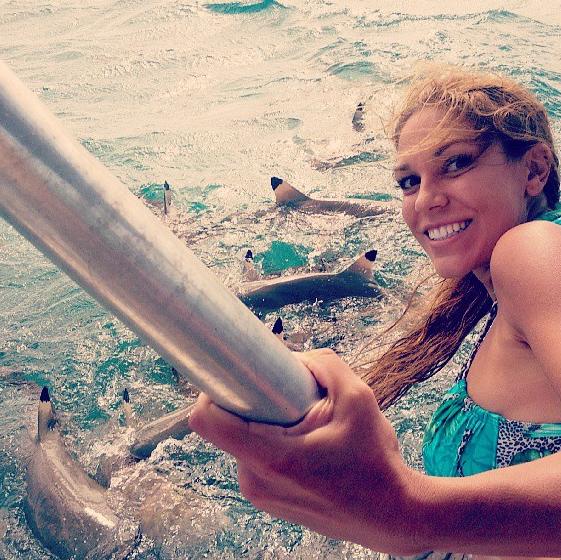 I loved our “shark and ray snorkel safari” – we saw incredible coral reefs, fed rays and swam with sharks! I also loved how somehow being on our honeymoon turned my husband into the uber tourist. Normally I’m the one clamoring to take a million pictures, but this time he was just as into recording every moment. I would have stayed longer, and might have gone to a third island. 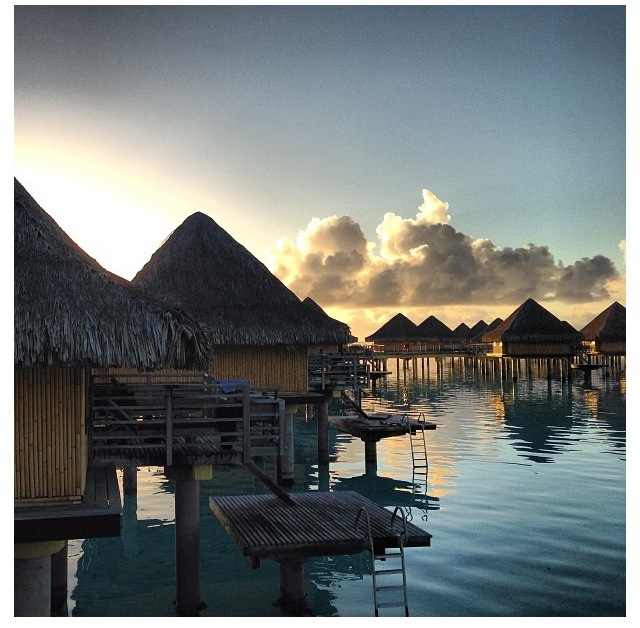 If you plan to visit both Moorea and Bora Bora, I’d say it isn’t necessary to stay in the over-water huts in Moorea (if you’re looking to save a little money). We spent much of our time on this island exploring and being on the beach, very little in our room.